Let’s face it, confirmed crate-diggers need little excuse to dust down their prized obscurities and play them in public. There was plenty of this kind of dusty-fingered nerdery on display at the last Ghettospheric party at Cosies on Saturday night. Our good friends Andy Clarkson and Russ ‘PK Music’ Deane were the main culprits, though Jimmy The Twin, the Falling Up boys and the Kelly Twins were just as guilty of this charge. Not that we’re complaining – there’s nothing we like more than getting the party going with records that all but sunk without trace on their original release, or have been criminally overlooked in the decades since they first graced record shop shelves. To prove the point, we’ll be digging deep and blowing the cobwebs off more obscure disco, funk, soul, electrofunk and boogie gems this coming Saturday, 19th November, at the Big Chill Bar in Bristol (11pm-2am). The Big Chill Bar is kind of our regular Bristol haunt, a venue we’ve played – and rocked – more than any other over the last two years. It’s always fun playing there, partly because the crowd is easygoing and up-for-it, but also because they allow us to mix it up as we see fit. We normally get top billing downstairs, but this Saturday we’ll be playing records in the venue’s second room, the cosy, snug and intimate space they call The Study. It’s upstairs, has its own bar, boasts easy access to the roof terrace and comes complete with some vintage easy chairs. Downstairs is a Regrooved night featuring Si from Goodgroove Records and others playing what they call “Ghetto Funk”. While this conjurs images of DJ Funk style booty madness, it’s actually a kind of slowed down version of funk breaks and big beat (to our ears, at least). Upstairs, we’ll be offering a purist counterbalance to this unashamed party silliness. Basically, that means we’ll be digging stupidly deep and entertaining the heads (and anyone who fancies some authentic, vintage music) with all manner of original boogie, disco and electrofunk gems – perhaps with a dash of proto-house, Italo and Balearica thrown in. It should be a lot of fun. Entrance, as ever, is free, and we should be on the decks from around 11 til 2am – that’s three whole hours of dusty-fingered selections. We might break our ‘vintage material’ rule to drop a few new bits we’ve been working on in the studio with new Bedmo Disco family member AWON. We have big plans for our collaboration, but we won’t reveal too much more just yet – you’ll get to hear the music very soon. Oh, and once we’ve finished at the Big Chill we’ll be heading down to Timbuk2 to check out our good friends Soft Rocks – they’re DJing in the second room of Dirtytalk alongside a couple of other mates of ours, Matty J and Ben Terry from The Pool Agency/Tirk Records. Saturday, November 12 (that’s tonight, kids) sees the end of a Bristol institution, a regular party that’s been close to our hearts for a fair old while: Ghettospheric. Variously held at the legendary Cosies (where tonight’s farewell bash will be held), Mackies and The Bank of Stokes Croft (which, as Bristol dwellers will know, are actually the same place under two different management teams), Ghettospheric is the work of a team of boogie, electrofunk, G-funk and slow jams obsessives spearheaded by Bristol’s first couple of boogie, Matt Doggs and Naomi Nice. 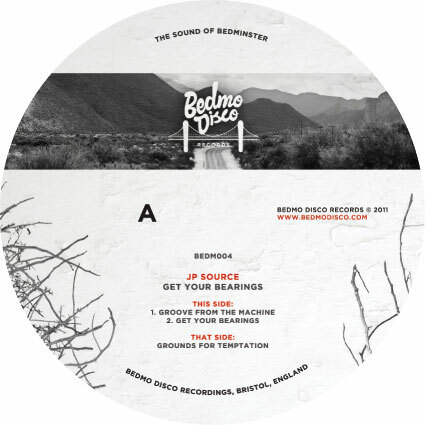 Tina Turntables – AKA super-talented illustrator Victoria Topping (who designed the artwork for our ‘It’s A Synth’ single) – and Chaz Malibu make up the team of resident DJs and crate-diggers. Over the years, I’ve had some great times at Ghettospheric parties, from busting out random go-go records to a handful of 40-something black guys at Mackies to rocking Cosies’ basement with the Kelly Twins and Andy Clarkson. The boogie and electrofunk community in Bristol is pretty sparse, but those DJs and diggers who love fat synth basslines, soulful vocals and delicious 808 slow jams will have played Ghettospheric at some point. They’ve hosted sets from pirate radio veterans, local record shop diggers, top rated club jocks and nerds with record collections so deep you’d need a PHD in crate digging to find all their tunes. Yet it’s never less than a real party. There are deep selections, of course, but Matt, Naomi, Chaz and Victoria never lost sight of the dancefloor. With an intimate venue like Cosies, they usually led to some proper fun times. I’m sure I speak for plenty of local DJs and boogie enthusiasts when I say I’ll miss it. Tonight’s final blow-out looks like it should be a proper send-off. There will be a strong Bedmo Disco Records presence, with Jimmy The Twin, FLX 1 and myself (Sell By Dave) all playing records, plus – hopefully – Five-Stylez and Awon in attendance. Elsewhere, you can expect selections from (amongst others) our old pals The Kelly Twins, Andy Clarkson, Jay-L and Luke Type from Falling Up, Russ from PK Music, the residents and Pato. We’ll be playing in a kind of back-to-back style all night, each dropping two records before handing over to the next DJ. With doors opening at 9.30 and the party going on until 2.30 (ish), it should be a cracking party. It’s going to be emotional – come down and help us give Ghettospheric a memorable curtain call. Bedmo Disco will be returning to the (digital) airwaves on Monday 7th November, as we continue our monthly residency on Passion Radio Bristol. Five-Stylez is otherwise engaged, so Sell By Dave will be in charge of proceedings. Expect a mix of old and new fodder across a range of musical styles, a smattering of forthcoming Bedmo Disco Records material and Alan Partridge-esque mic banter from Bristol’s own bearded disco grinch. You can tune in to Bedmo Disco Radio from 5pm GMT via the Passion Radio Bristol website. If you’ve got a smartphone (iPhone, Android etc), you can listen on the move using the TuneIn Radio app. It’s rather smart – get on the download!